We invite you to participate in the next IUPAC International Congress of Pesticide Chemistry planned for May 20-24, 2019 in historic Ghent, Belgium. 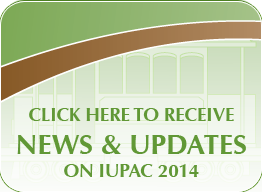 Thanks for your participation in IUPAC 2014! 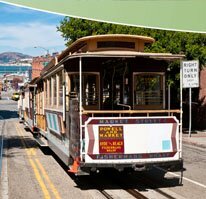 On behalf of the AGRO Division of the American Chemical Society, the organizing committee, and the scientific program committee, we thank all those who participated in the 13th IUPAC International Congress of Pesticide Chemistry. Over 1000 delegates participated in the Congress with interactive scientific programming in 9 major topic areas. We also thank the many sponsors who contributed to the success of this Congress. This website will be maintained for the next few years to highlight publications that are developed as a result of the Congress. A short summary of outcomes from the 13th IUPAC Congress has recently been published by Dr. Nancy Ragsdale in Volume 25 of Outlooks on Pest Management. The publishers have kindly made the electronic version available for download. Perspectives articles from Congress Plenary Speakers, Journal of Agriculture and Food Chemistry, Volume 64, Issue 1 (January 2016), Introduction by L.L. McConnell, K.D. Racke, C.J. Hapeman, and J.N. Seiber. The final version of the Congress Program Booklet and Abstracts are available for download. These files are in .pdf format and require Adobe Acrobat Reader. The posters were selected for IUPAC awards out of approximately 600 posters presented. The number of awards given for each topic area was based on the number of posters presented relative to the total number of posters. Posters were scored on technical quality, presentation clarity, importance to the field, and originality. Congratulations to all the award winners! Anke Buchholz(1)*, Denise Baumann(1), Anthony O’Sullivan(1), Juergen Schaetzer(1), Johanna Williams(2). Sheila Flack(1)*, Mark Ledson(2), Eileen Kennedy(1). Kathleen E Hall(1)*, Maria J Calderon(2), Kurt A Spokas(3), Lucia Cox(2), William C Koskinen(3), Jeffrey Novak(3), Keri Cantrell(3). Daniel Cordova(1)*, Alan J. Williams(2). Zsuzsa Farkas*, Kata Kerekes, Zsuzsanna Horváth, Arpad Ambrus.